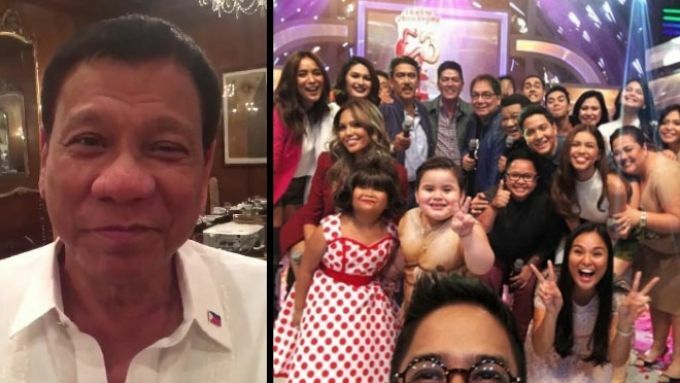 SPONSORED LINKS As “Eat Bulaga” marked its 37th anniversary on July 30, the popular noontime variety show received a special message from a special someone: President Rodrigo “Rody” Duterte. Duterte greeted and congratulated the hosts and those who work on the show behind-the-scenes and expressed his wishes for the TV program. The longest running noontime show in the country premiered on July 30, 1979, hosted by Vic Sotto, Joey de Leon, Tito Sotto, Chiqui Hollman, and Richie Reyes. It aired on Radio Philippines Network (RPN) from 1979 to 1989. The show was then transferred to ABS-CBN on 1989 and stayed there until 1995. From 1995 up to the present, “Eat Bulaga” has been airing consistently on GMA Network.